The role of public opinion warfare may be an integral component of future crisis and conflict in Asia. Well in advance of any potential confrontation, Chinese writing emphasizes the role of “political warfare” and “public opinion warfare” as an offensive deterrence strategy. China will seek to actively shape American, allied, and world opinion to legitimize any military action the CCP deems necessary. We might see cyber-enabled means to “incessantly disseminate false and confused information to the enemy side … through elaborate planning [in peacetime], and [thereby] interfere with and disrupt the enemy side’s perception, thinking, willpower and judgment, so that it will generate erroneous determination and measures.”1 China may try to leverage large populations of Chinese nationals and those of Chinese heritage living outside China as a way to influence other countries and generate new narratives that promote the PRC’s position. Consider, for example, how Chinese social media campaigns led to the boycotts of bananas from the Philippines when it seized Scarborough Reef, or similar campaigns against Japanese-made cars during its ongoing territorial dispute over the Senkaku Islands. Most recently, Lotte Duty Free, a South Korean company, suffered distributed denial-of-service attacks from Chinese IP servers – almost certainly a response to South Korea’s recent decision to host the THAAD missile defense system. 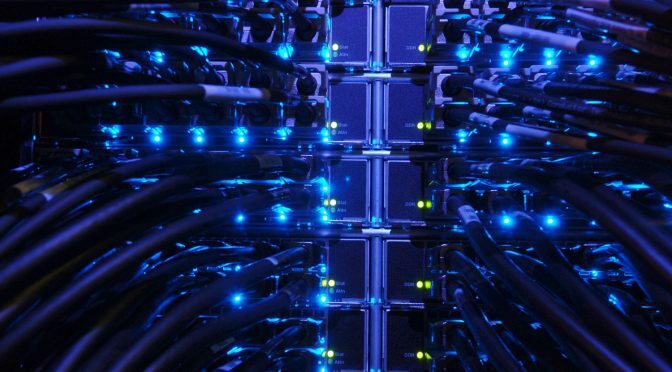 What can the U.S. do to Enhance Network Resilience? Second, the policy and legal approach to network resiliency must shift from a law enforcement paradigm to a national security paradigm. This paradigm is important because it affects the framework under which operations are conducted. The emphasis becomes one of active defense, adaptation, identification of vulnerabilities and systemic redundancy and resilience. A national security approach would also be better suited for mobilizing a whole-of-nation response in which the government, industry, and the population are engaged as active participants in network defense and resiliency. Important to this is the development of partnership mechanisms and professional networking that permit rapid sharing of information at the lowest level possible. Major telecommunications firms, which provide the infrastructure backbone of critical networks, require timely, actionable information in order to respond to malicious threats. Engagement with the private sector must be conducted in the same way they engage with each other – by developing personal trust and providing actionable information. 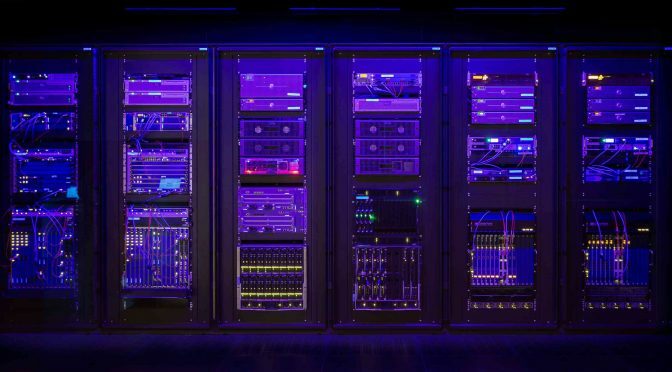 Network hardening must be coupled with the capabilities needed to rapidly reconstitute critical networks and the resiliency to fight through network attack. This includes the development of alternative command, control, and communication capabilities. In this regard, the military and government can look to industries such as online retail, online streaming, and online financial networks (among others) that operate under constant attack on an hourly basis while proving capable of providing on-demand service to customers without interruption. Some lessons might be learned here. Third, new operational concepts must emphasize persistent engagement over static defense. The United States must have the capacity to contest and counter the cyber capabilities of its adversaries and the intelligence capacity to anticipate vulnerabilities so we move away from a reactive approach to cyber incidents and instead position ourselves to find security through retaining the initiative across the spectrum of resiliency and active defensive and offensive cyber operations. The tax code and budget, coupled with regulation, can be structured to incentivize network resiliency and security by default (cyber security built into software and hardware as a priority standard), not only among key critical infrastructure industries, but among the population as a whole to include the telecommunication Internet border gateways, small-to-medium sized Internet service providers, and information technology suppliers. Since the federal government, Defense Department, and Homeland Security rely largely on private industry and third-party suppliers for communications and information technology, this would have the attendant effect of improving the systems used by those supporting national security and homeland defense. The key question then is: how can Congress incentivize network resiliency and security standards, to include protecting the supply chain, most especially for those in industry who provide goods and services to the government? If the tax code, budget, and regulation might provide some incentive (“carrots”), so too can they provide “sticks.” Litigation and insurance premiums can also provide similar effects, both to incentivize standards and practices and discourage poor cyber hygiene and lax network security practices. Again, Congress must balance the “carrots” and “sticks” within a national security framework. Congress might also address law and policy which permits adversary states to leverage the American system to our detriment. Today, American universities and research institutions are training China’s future leaders in information technology, artificial intelligence, autonomous systems, computer science, cryptology, directed energy and quantum mechanics. Most of these students will likely return to China to put their services to work for the Chinese government and military, designing systems to defeat us. American companies hire and train Chinese technology engineers, and have established research institutes in China.4 The American taxpayer is helping fund the growth and development of China’s military and strategic cyber forces as well as growth in China’s information technology industry. Related specifically to the Department of Defense, Congress should work with the Department to identify ways in which the services man, train, and equip cyber mission forces. It will have to provide new tools that the services can leverage to identify and recruit talented men and women, and ensure that the nation can benefit long-term by setting up appropriate incentives to retain and promote the best and brightest. It will have to address an acquisition system structured around platforms and long-term programs of record. The current military is one where highly advanced systems have to be made to work with legacy systems and cobbled together with commercial, off-the-shelf technology. This is less than optimal and creates hidden vulnerabilities in these systems, risking cascading mission failure and putting lives in jeopardy. Finally, Congress, the Department of Defense, and the broader intelligence and homeland security communities can work together to establish a center of excellence for the information and cyber domain that can provide the detailed system-of-systems analysis, analytic tools, and capability development necessary to operate and defend in this space. Such centers have been established in other domains, such as land (e.g., National Geospatial Intelligence Agency), sea (e.g., Office of Naval Intelligence) and air and space (e.g., National Air and Space Intelligence Center). It is important to understand that this competition is not limited to “DOD versus PLA.” The U.S. must evaluate how it is postured as a nation is whether it is prepared fight and defend its information space, to include critical infrastructure, networks, strategic resources, economic arrangements, and the industries that mold and shape public understanding, attitude, and opinion. It must decide whether defense of the information space and the homeland is a matter of national security or one of law enforcement, because each path is governed by very different approaches to rules, roles, policies, and responses. Policymakers should consider how to best address the need to provide critical indications, warnings, threat detection, as well as the system-of-systems network intelligence required for the U.S. to develop the capabilities necessary to operate in and through cyberspace. For all other domains in which the U.S. operates, there is a lead intelligence agency devoted to that space (Office of Naval Intelligence for the maritime domain, National Air and Space Intelligence Center for the air and space domains, etc.). It must always be remembered that for China, this is a zero-sum competition – there will be a distinct winner and loser. It intends to be that winner, and it believes that the longer it can mask the true nature of that competition and keep America wedded to its own view of the competition as a positive-sum game, it will enjoy significant leverage within the American-led system and retain strategic advantage. China is pursuing successfully, so far, a very clever strategy of working through the system the U.S. built in order to supplant it – and much of it is happening openly and in full view. This strategy can be countered in many ways, but first the U.S. must recognize its approach and decide to act. LCDR Jake Bebber is a cryptologic warfare officer assigned to the staff of Carrier Strike Group 12. He previously served on the staff of U.S. Cyber Command from 2013 – 2017. LCDR Bebber holds a Ph.D. in public policy. He welcomes your comments at: jbebber@gmail.com. These views are his alone and do not necessarily represent any U.S. government department or agency. 2. Richard Harknett and Emily Goldman (2016) “The Search for Cyber Fundamentals.” Journal of Information Warfare. Vol. 15 No. 2. 3. Harvey Rishikof (2017) Personal communication, April 21. The PRC recognized in the 1990s the centrality of information warfare and network operations to modern conflict. However, it has always understood the information space as blended and interrelated. Information is a strategic resource to be harvested and accumulated, while denied to the adversary. Information warfare supports all elements of comprehensive national power to include political warfare, legal warfare, diplomatic warfare, media warfare, economic warfare, and military warfare. It is critical to recognize that the PRC leverages the American system and its values legally (probably more so than illegally), to constrain the U.S. response, cloud American understanding, and co-opt key American institutions, allies, and assets. In many ways, the PRC approach being waged today is being hidden by their ability to work within and through our open liberal economic and political system, while supplemented with cyber-enabled covert action (such as the OPM hack). To support their comprehensive campaign, the PRC is reforming and reorganizing the military wing of the Communist Party, the People’s Liberation Army (PLA), posturing it to fight and win in the information space. Most notably, it recently established the Strategic Support Force (SSF) as an umbrella entity for electronic, information, and cyber warfare. Critical for U.S. policymakers to understand is how the SSF will be integrated into the larger PLA force, how it will be employed in support of national and military objectives, and how it will be commanded and controlled. While much of this remains unanswered, some general observations can be made. This change presents an enormous challenge to the PLA. The establishment of the SSF disrupts traditional roles, relationships, and processes. It also disrupts power relationships within the PLA and between the PLA and the CCP. It challenges long-held organizational concepts, and is occurring in the midst of other landmark reforms, to include the establishment of new joint theater commands.3 However, if successful, it would improve information flows in support of joint operations and create a command and control organization that can develop standard operating procedures, tactics, techniques, procedures, advanced doctrine, associated training, along with driving research and development toward advanced capabilities. The establishment of the SSF creates a form of information “defense in depth,” both for the PLA and Chinese society as a whole. The SSF enables the PLA to provide the CCP with “overlapping measures of electronic, psychological, and political deterrents.” It is reasonable to expect that there will be extensive coordination and cooperation among the PRC’s military, internal security, network security, “commercial” enterprises such as Huawei and ZTE, political party organizations, state controlled media both inside and outside China, and perhaps even mobilization of Chinese populations. Recent Chinese military writings have stressed the centrality of information to modern war and modern military operations. Paying close attention to the way the West – principally the U.S. – conducted the First Gulf War and operations in Kosovo and the Balkans in the 1990s, the PRC has been aggressively pursuing a modernization and reform program that has culminated in where they are today. Indeed, there is close resemblance to PLA and PRC aspirational writing from the 1990s to today’s force structure. The PLA has recently described this as a form of “network swarming attacks” and “multi-directional maneuvering attacks” conducted in all domains – space, cyberspace, ground, air, and sea. The Strategic Support Force has been designed to provide these integrated operations, employing electronic warfare, cyberspace operations, space and counter-space operations, military deception and psychological operations working jointly with long-range precision strike, ballistic missile forces and traditional conventional forces. Essential to these concepts are China’s ability to achieve dominance over space-based information assets. PRC authors acknowledge this as critical to conducting joint operations and sustaining battlefield initiative. This includes not only the orbiting systems, but ground stations, tracking and telemetry control, and associated data systems. We can expect full-scope operations targeting all elements of America’s space-based information system enterprise. Important to all of this is the necessity of preparatory operations that take place during “peacetime.” China understands that many of its cyberspace, network, electronic and space warfare capabilities will not be available unless it has gained access to and conducted extensive reconnaissance of key systems and pre-placed capabilities to achieve desired effects. We should expect that the PRC is actively attempting to penetrate and exploit key systems now in order to be able to deliver effects at a later date. China recently released the “International Strategy of Cooperation on Cyberspace.”10 Graham Webster at the Yale Law School made some recent observations. First, it emphasizes “internet sovereignty,” which is unsurprising, since the CCP has a vested interest in strictly controlling the information space within China, and between China and the rest of the world. This concept of “internet sovereignty” should best be understood as the primacy of Chinese interests. China would consider threatening information sources outside of the political borders of China as legitimate targets for cyber exploitation and attack. In the minds of the CCP, the governance of cyberspace should recognize the sovereignty of states, so long as the Chinese state’s sovereignty is paramount over the rest of the world’s. Second, the strategy suggests that “[t]he tendency of militarization and deterrence buildup in cyberspace is not conducive to international security and strategic mutual trust.” This appears to be aimed squarely at the U.S., most likely the result of Edward Snowden’s actions. The U.S. seems to also be the target when the strategy refers to “interference in other countries’ internal affairs by abusing ICT and massive cyber surveillance activities,” and that “no country should pursue cyber hegemony.” Of course, the PRC has been shown to be one of the biggest sources of cyber-enabled intellectual property theft and exploitation, and China’s cyber surveillance and control regimes are legendary in scope. Immediately after decrying the “militarization” of cyberspace, the strategy calls for China to “expedite the development of a cyber force and enhance capabilities … to prevent major crisis, safeguard cyberspace security, and maintain national security and social stability.” These broad, sweeping terms would permit China to later claim that much of its activities that appear to violate its own stated principles in the strategy are indeed legitimate. The strategy seeks to encourage a move away from multi-stakeholder governance of the Internet to multilateral decision-making among governments, preferably under the United Nations. This would certainly be in China’s interests, as China continues to hold great sway in the U.N., especially among the developing world. After all, China is rapidly expanding its geoeconomic and geoinformational programs, leveraging its state-owned enterprises to provide funding, resources, and informational infrastructure throughout Africa, Asia, Europe, and the Americas. As more countries become dependent on Chinese financing, development, and infrastructure, they will find it harder to oppose or object to governance regimes that favor Chinese interests. When considering deterrence in the Chinese understanding, it is important to remember that China approaches it from a different context than the United States. Jacqueline Deal noted that China’s basic outlook proceeds from the premise that the “natural state of world is one of conflict and competition, and the goal of strategy is to impose order through hierarchy.”12 While Americans understand deterrence as a rational calculation, the Chinese approach emphasizes the conscious manipulation of perceptions. Indeed, the Chinese term weishe, which translates as “deterrence,” also embodies the idea of “coercion.” We might see examples of this understanding by China’s historic use of “teaching a lesson” to lesser powers. In the 20th Century, Chinese offensives against India and Vietnam – thought by many in the West to be an example of tragic misunderstanding and failed signaling of core interests – might be better thought of as attempts by China to secure its “rightful” place atop the regional hierarchy. It is a form of “lesson teaching” that has long-term deterrent effects down the road. We can expect therefore that cyberspace would become one means among many that China will use in support of its “Three Warfares” (public opinion, media, legal) concept in support of its larger deterrent or compellence strategies. It will likely be much broader than the use of PLA SSF forces, and could include cyber-enabled economic strategies, financial leverage, and resource withholding. 2. Dean Cheng (2017). Cyber Dragon: Inside China’s Information Warfare and Cyber Operations. Praeger Security International. 4. John Costello and Peter Mattis (2016). “Electronic Warfare and the Renaissance of Chinese Information Operations.” in China’s Evolving Military Strategy (Joe McReynolds, editor). The Jamestown Foundation. 12. Jacqueline N. Deal (2014). “Chinese Concepts of Deterrence and their Practical Implications for the United States.” Long Term Strategy Group. The following testimony published on Information Dissemination, and is shared with the author’s permission. Senior Systems and Technology Analyst, Systems Planning and Analysis, Inc. The views expressed herein are solely those of the author and are presented in his personal capacity on his own initiative. They do not reflect the official positions of Systems Planning and Analysis, Inc. and to the author’s knowledge do not reflect the policies or positions of the U.S. Department of Defense, any U.S. armed service, or any other U.S. Government agency. These views have not been coordinated with, and are not offered in the interest of, Systems Planning and Analysis, Inc. or any of its customers. Thank you Chairman Forbes and Ranking Member Courtney and all the members of the Seapower and Projection Forces subcommittee for granting me the honor of testifying today and to submit this written statement for the record. I am a former U.S. Navy Surface Warfare Officer (SWO), and served two Division Officer tours in destroyers while on active duty from 2000-2004. My two billets were perhaps the most tactically-intensive ones available to a junior SWO: Anti-Submarine Warfare Officer and AEGIS Fire Control Officer. As the young officer responsible for overseeing the maintenance and operation of my destroyers’ principal combat systems, I obtained an unparalleled foundational education in the tactics and technologies of modern naval warfare. In particular, I gained a fine appreciation for the difficulties of interpreting and then optimally acting upon the dynamic and often ambiguous “situational pictures” that were produced by the sensors I “owned.” I can attest to the fact that Clausewitz’s concepts of “fog” and “friction” remain alive and well in the 21st Century in spite of, and sometimes exacerbated by, our technological advancements. My civilian job of the past eleven years at Systems Planning and Analysis, Inc. has been to provide programmatic and systems engineering support to various surface combat system acquisition programs within the portfolio of the Navy’s Program Executive Officer for Integrated Warfare Systems (PEO IWS). This work has provided me an opportunity to participate, however peripherally, in the development of some of the surface Navy’s future combat systems technologies. It has also enriched my understanding of the technical principles and considerations that affect combat systems performance; this is no small thing considering that I am not an engineer by education. In recent years, and with the generous support and encouragement of Mr. Bryan McGrath, I’ve taken up a hobby of writing articles that connect my academic background in maritime strategy, naval history, naval technology, and deterrence theory with my professional experiences. One of my favorite topics concerns the challenges and opportunities surrounding the potential uses of electronic warfare in modern maritime operations. It’s a subject that I first encountered while on active duty, and later explored in great detail during my Masters thesis investigation of how advanced wide-area oceanic surveillance-reconnaissance-targeting systems were countered during the Cold War, and might be countered in the future. Electronic warfare receives remarkably little attention in the ongoing debates over future operating concepts and the like. Granted, classification serves as a barrier with respect to specific capabilities and systems. But electronic warfare’s basic technical principles and effects are and have always been unclassified. I believe that much of the present unfamiliarity concerning electronic warfare stems from the fact that it’s been almost a quarter century since U.S. naval forces last had to be prepared to operate under conditions in which victory—not to mention survival—in battle hinged upon achieving temporary localized mastery of the electromagnetic spectrum over the adversary. America’s chief strategic competitors intimately understand the importance of electronic warfare to fighting at sea. Soviet Cold War-era tactics for anti-ship attacks heavily leveraged what they termed “radio-electronic combat,” and there’s plenty of open source evidence available to suggest that this remains true in today’s Russian military as well. [i] The Chinese are no different with respect to how they conceive of fighting under “informatized conditions.”[ii] In a conflict against either of these two great powers, U.S. maritime forces’ sensors and communications pathways would assuredly be subjected to intense disruption, denial, and deception via jamming or other related tactics. Likewise, ill-disciplined electromagnetic transmissions by U.S. maritime forces in a combat zone might very well prove suicidal in that they could provide an adversary a bullseye for aiming its long-range weapons. To their credit, the Navy’s seniormost leadership have gone to great lengths to stress the importance of electronic warfare in recent years, most notably in the new Maritime Strategy. They have even launched a new concept they call electromagnetic maneuver warfare, which appears geared towards exactly the kinds of capabilities I am about to outline. It is therefore quite likely that major elements of the U.S. Navy’s future surface warfare vision, Distributed Lethality, will take electronic warfare considerations into account. I would suggest that Distributed Lethality’s developers do so in three areas in particular: Command and Control (C2) doctrine, force-wide communications methods, and over-the-horizon targeting and counter-targeting measures. First and foremost, Distributed Lethality’s C2 approach absolutely must be rooted in the doctrinal philosophy of “mission command.” Such doctrine entails a higher-echelon commander, whether he or she is the commander of a large maritime battleforce or the commander of a Surface Action Group (SAG) consisting of just a few warships, providing subordinate ship or group commanders with an outline of his or her intentions for how a mission is to be executed, then delegating extensive tactical decision-making authority to them to get the job done. This would be very different than the Navy’s C2 culture of the past few decades in which higher-echelon commanders often strove to use a “common tactical picture” to exercise direct real-time control, sometimes from a considerable distance, over subordinate groups and ships. Such direct control will not be possible in contested areas in which communications using the electromagnetic spectrum are—unless concealed using some means—readily exploitable by an electronic warfare-savvy adversary. Perhaps the adversary might use noise or deceptive jamming, deceptive emissions, or decoy forces to confuse or manipulate the “common picture.” Or perhaps the adversary might attack the communications pathways directly with the aim of severing the voice and data connections between commanders and subordinates. An adept adversary might even use a unit or flagship’s insufficiently concealed radio frequency emissions to vector attacks. It should be clear, then, that the embrace of mission command doctrine by the Navy’s senior-most leadership on down to the deckplate level will be critical to U.S. Navy surface forces’ operational effectiveness if not survival in future high-end naval combat. This requires the use of varying forms of voice and data networking as tailored to specific tactical or operational C2purposes. A real-time tactical picture is often needed for coordinating defenses against an enemy attack. A very close to real-time tactical picture may be sufficient for coordinating attacks against adversary forces. Non-real time communications may be entirely adequate for a higher-echelon commander to convey mission guidance to subordinates. But how to conceal these communications, or at least drastically lower the risk that they might be intercepted and exploited by an adversary? 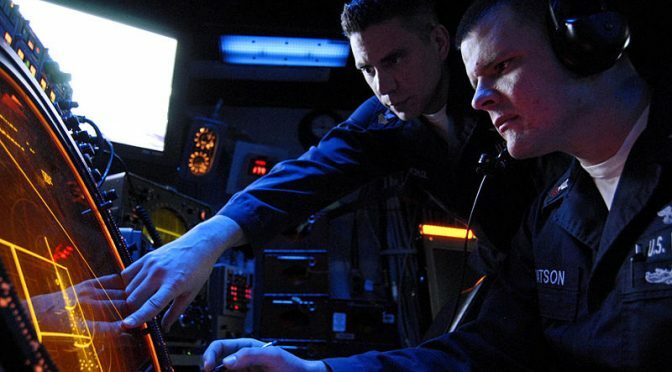 The most secure form of communications against electronic warfare is obviously human courier, and while this was used by the U.S. Navy on a number of occasions during the Cold War to promote security in the dissemination of multi-day operational and tactical plans, it is simply not practicable in the heat of an ongoing tactical engagement. Visible-band and infrared pathways present other options, as demonstrated by the varying forms of “flashing light” communications practiced over the centuries. For instance, a 21st Century flashing light that is based upon laser technologies would have the added advantage of being highly directional, as its power would be concentrated in a very narrow beam that an adversary would have to be very lucky to be in the right place at the right time to intercept. That said, visible-band and infrared systems’ effective ranges are fairly limited to begin with when used directly between ships, and even more so in inclement weather. This may be fine if a tactical situation allows for a SAG’s units to be operating in close proximity. However, if unit dispersal will often be the rule in contested zones in order to reduce the risk that an adversary’s discovery of one U.S. warship quickly results in detection of the rest of the SAG, then visible-band and infrared pathways can only offer partial solutions. A broader portfolio of communications options is consequently necessary. It is commonly believed that the execution of strict Emissions Control (EMCON) in a combat zone in order to avoid detection (or pathway exploitation) by an adversary means that U.S. Navy warships would not be able to use any form of radiofrequency communications. This is not the case. Lower-frequency radios such as those that operate in the (awkwardly titled) High, Very High, and Ultra High Frequency (HF, VHF, and UHF) bands are very vulnerable because their transmission beams tend to be very wide. The wider a transmission beam, the greater the volume through which the beam will propagate, and in turn the greater the opportunity for an adversary’s signals intelligence collectors to be in the right place at the right time. In order to make lower-frequency radio communications highly-directional and thereby difficult for an adversary to intercept, a ship’s transmitting antennas would have to be far larger than is practical. At the Super High Frequency (SHF) band and above, though, transmission beamwidth using a practically-sized antenna becomes increasingly narrow and thus more difficult to intercept. This is why the Cold War-era U.S. Navy designed its Hawklink line-of-sight datalink connecting surface combatants and the SH-60B helicopter to use SHF; the latter could continually provide sonarbuoy, radar, or electronic support measures data to the former—and thereby serve as an anti-submarine “pouncer” or an anti-ship scout—with a relatively low risk of the signals being detected or exploited. In theory, the surface Navy might develop a portfolio of highly-directional line-of-sight communications systems that operate at SHF or Extremely High Frequency (EHF)/Millimeter-wave (MMW) bands in order to retain an all-weather voice and data communications capability even during strict EMCON. The Navy might also develop high-band communications packages that could be carried by manned or unmanned aircraft, and especially those that could be embarked aboard surface combatants, so that surface units could communicate securely over long-distances via these “middlemen.” Shipboard and airframe “real estate” for antennas is generally quite limited, though, so the tradeoff for establishing highly-directional communications may well be reduced overall communications “bandwidth” compared to what is possible when also using available communications systems that aren’t as directional. Nevertheless, this could be quite practicable in a doctrinal culture that embraces mission command and the spontaneous local tactical collaboration of ships and aircraft in a SAG. High-directionality also means that a single antenna can only communicate with one other ship or aircraft at a time—and it must know where that partner is so that it can point its beam precisely. If a transmission is meant for receipt by other ships or aircraft, it must either be relayed via one or more “middleman” assets’ directional links to those units or it must be broadcast to them using less-directional pathways. Broadcast is perfectly acceptable as a one-way transmissions method if the broadcaster is either located in a relatively secure and defensible area or alternatively is relatively expendable. An example of the former might be an airborne early warning aircraft protected by fighters or surface combatants broadcasting its radar picture to friendly forces (and performing as a local C2 post as well) using less-directional lower-frequency communications. An example of the latter might be Unmanned Aerial Systems (UAS) launchable by SAG ships to serve as communications broadcast nodes; a ship could uplink to the UAS using a highly-directional pathway and the UAS could then rebroadcast the data within a localized footprint. Higher-echelon commanders located in a battlespace’s rearward areas might also use broadcast to provide selected theater- and national-level sensor data, updated mission guidance, or other updated situational information to forward SAGs. By not responding to the broadcast, or by only responding to it via highly-directional pathways, receiving units in SAGs would gain important situational information while denying the adversary an easy means of locating them. Low Probability of Intercept (LPI) radiofrequency communications techniques provide surface forces an additional tool that can be used at any frequency band, directional or not. By disguising waveforms to appear to be ambient radiofrequency noise or by using reduced transmission power levels and durations, an adversary’s signals intelligence apparatus might not be able to detect an LPI transmission even if it is positioned to do so. I would caution, though, that any given LPI “trick” might not have much operational longetivity. Signal processing technologies available on the global market may well reach a point, if they haven’t already, where a “trick” works only a handful of times—or maybe just once—and thereafter is recognized by an adversary. Many LPI techniques accordingly should be husbanded for use only when necessary in a crisis or wartime, and there should be a large enough “arsenal” of them to enable protracted campaigning. Finally, I want to briefly discuss the importance of providing our surface force with an actionable over-the-horizon targeting picture while denying the same to adversaries. The U.S. Navy is clearly at a deficit relative to its competitors regarding anti-ship missile range. This is thankfully changing regardless of whether we’re talking about the Long-Range Anti-Ship Missile (LRASM), a Tomahawk-derived system, or other possible solutions. It should be noted, though, that a weapon’s range on its own is not a sufficient measure of its utility. This is especially important when comparing our arsenal to those possessed by potential adversaries. A weapon cannot be evaluated outside the context of the surveillance and reconnaissance apparatus that supports its employment. Effective striking range is reduced further once a war breaks out and the belligerents take off their gloves with respect to each others’ surveillance and reconnaissance systems. The qualities and quantities of a force’s sensors, and the architecture and counter-detectability of the data pathways the force uses to relay its sensors’ “pictures” to “consumers” matter just as much as the range of the force’s weapons. [v] Under intense electronic warfare opposition, they arguably matter even more. A U.S. Navy SAG would therefore benefit greatly from being able to embark or otherwise access low observable unmanned systems that can serve as over-the-horizon scouts. These scouts could be used not only for reconnaissance, but also for contact confirmation. They could report their findings back to a SAG via the highly-directional pathways I discussed earlier, perhaps via “middlemen” if needed. Likewise, a U.S. Navy SAG would need to be able to degrade or deceive an adversary’s surveillance and reconnaissance efforts. There are plenty of non-technological options: speed and maneuver, clever use of weather for concealment, dispersal, and deceptive feints or demonstrations by other forces that distract from a “main effort” SAG’s thrust. Technological options employed by a SAG might include EMCON and deceptive emissions against the adversary’s signals intelligence collectors, and noise or deceptive jamming against the adversary’s active sensors. During the Cold War, the U.S. Navy developed some very advanced (and anecdotally effective) shipboard deception systems to fulfill these tasks against Soviet sensors. Unmanned systems might be particularly attractive candidates for performing offboard deception tasks and for parrying an adversary’s own scouts as well. If deception is to be successful, a SAG must possess a high-confidence understanding of—and be able to exercise agile control over—its emissions. It must also possess a comprehensive picture of the ambient electromagnetic environment in its area of operations, partly so that it can blend in as best as possible, and partly to uncover the adversary’s own transient LPI emissions. This will place a premium on being able to network and fuse inputs from widely-dispersed shipboard and offboard signals collection sensors. Some of these sensors will be “organic” to a SAG, and some may need to be “inorganically” provided by other Navy, Joint, or Allied forces. Some will be manned, and other will likely be unmanned. This will also place a premium on developing advanced signal processing and emissions correlation capabilities. We can begin to see, then, the kinds of operational and tactical possibilities such capabilities and competencies might provide U.S. Navy SAGs. A SAG might employ various deception and concealment measures to penetrate into the outer or middle sections of a hotly contested zone, perform some operational task(s) of up to several days duration, and then retire. 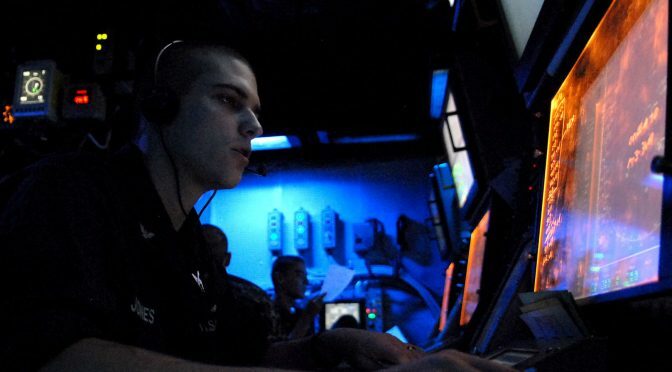 Other naval or Joint forces might be further used to conduct deception and concealment actions that distract the adversary’s surveillance-reconnaissance resources (and maybe decision-makers’ attentions) from the area in which the SAG is operating, or perhaps from the SAG’s actions themselves, during key periods. And still other naval, Joint, and Allied forces might conduct a wide-ranging campaign of physical and electromagnetic attacks to temporarily disrupt if not permanently roll back the adversary’s surveillance-reconnaissance apparatus. Such efforts hold the potential of enticing an adversary to waste difficult-to-replace advanced weapons against “phantoms,” or perhaps distracting or confusing him to such an extent that he attacks ineffectively or not at all. The tools and tactics I’ve outlined most definitely will not serve as “silver bullets” that shield our forces from painful losses. And there will always be some degree of risk and uncertainty involved in the use of these measures; it will be up to our force commanders to decide when conditions seem right for their use in support of a particular thrust. These measures should consequently be viewed as force-multipliers that grant us much better odds of perforating an adversary’s oceanic surveillance and reconnaissance systems temporarily and locally if used smartly, and thus better odds of operational and strategic successes. With that, I look forward to your questions and the discussion that will follow. Thank you. [ii] For examples, see 1. John Costello. “Chinese Views on the Information “Center of Gravity”: Space, Cyber and Electronic Warfare.” Jamestown Foundation China Brief, Vol. 15, No. 8, 16 April 2015,http://www.jamestown.org/programs/chinabrief/single/?tx_ttnews%5Btt_news%5D=43796&cHash=c0f286b0d4f15adfcf9817a93ae46363#.Vl4aL00o7cs; 2. “Annual Report to Congress: Military and Security Developments Involving the People’s Republic of China 2015.” (Washington, DC: Office of the Secretary of Defense, 07 April 2015), 33, 38. [iii] CAPT Wayne P. Hughes Jr, USN (Ret). Fleet Tactics and Coastal Combat, 2nd ed. (Annapolis, MD: U.S. Naval Institute Press, 2000), 40-44. [iv] Jonathan F. Solomon. “Maritime Deception and Concealment: Concepts for Defeating Wide-Area Oceanic Surveillance-Reconnaissance-Strike Networks.” Naval War College Review 66, No. 4 (Autumn 2013): 113-114.